A UC Berkeley alumna launched a petition this month accusing the International and Area Studies administration of waging an “attack” on the peace and conflict studies program due to downsizing in the last few years. 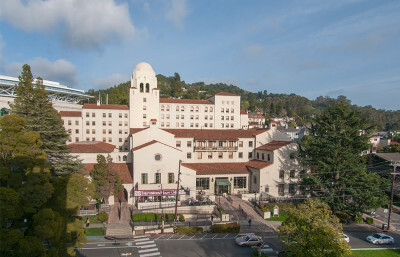 The petition was authored by UC Berkeley alumna Shawndeez Davari Jadali, who is among several PACS students who allege an administrative lack of transparency and bias towards the political economy major, which is also within the IAS program. As of Wednesday afternoon, it had been signed by almost 500 people. Max Auffhammer and Alan Karras, director and associate director of IAS respectively, responded that these claims are unfounded and efforts to improve PACS are ongoing. IAS is an interdisciplinary program on campus encompassing six total majors, in which political economy is the largest and PACS is the second-largest major. Davari Jadali said she was prompted to write the petition when two PACS faculty members left the program — former chair Jerry Sanders retired and the appointment of lecturer Julie Shackford-Bradley was not renewed, for reasons administrators have declined to comment on. According to Davari Jadali, this consequently left the program with only three part-time lecturers exclusive to PACS. Auffhammer responded in a July 14 letter to Davari Jadali and the signatories of the petition, saying there are at least six faculty members teaching in PACS and that the faculty is actually growing. And while there are no full-time tenure track professors in PACS, administrators cite this as an issue affecting the whole IAS undergraduate division. PACS students also claim that there is an undue emphasis on political economy in IAS, noting that Auffhammer and Karras are both political economists. The petition also mentioned reduced enrollment in all IAS majors, except political economy, although Auffhammer attributes this to the increased rigor of the majors since an external review in 2010. Davari Jadali, in response, urged administrators to make such budgetary information, along with results of the 2010 review, public. “There’s zero transparency, so we had no idea the review was happening,” Davari Jadali said. But according to Karras, the public can request the result of the review. Auffhammer added that although the IAS budget isn’t publicly available because it contains salary information, a request can be filed for it as well. “If people wanted that information, they should have asked for it, and to my knowledge, no one has asked for it,” Karras said, also pointing out that PACS funding has been stable and has actually increased over the last several years. The petition also criticizes the decrease in courses and concentrations offered in PACS since 2010. Auffhammer said in his response letter that PACS course offerings have been tailored to student demand and that the current lack of waitlists confirms that demand is being met. He added that the concentrations were actually consolidated, not reduced. Both Auffhammer and Davari Jadali have said they are willing to meet in person to further discuss the issue. Contact Sumaiya Mubarack at [email protected] and follow her on Twitter @sumaiyamubarack.